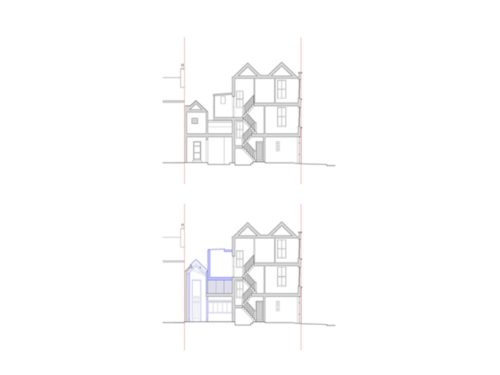 The existing retail unit presented many design challenges, narrowing to just over 1.8m near the street frontage, and measuring more than 15 metres front to back. 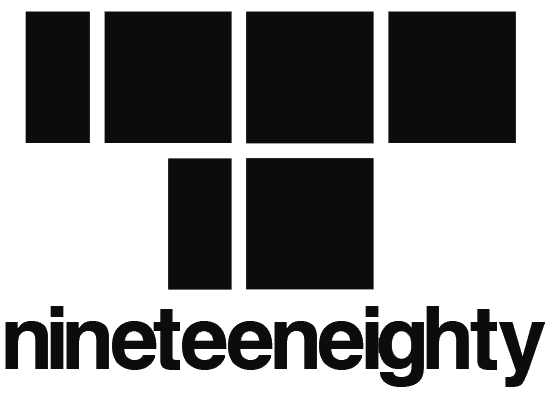 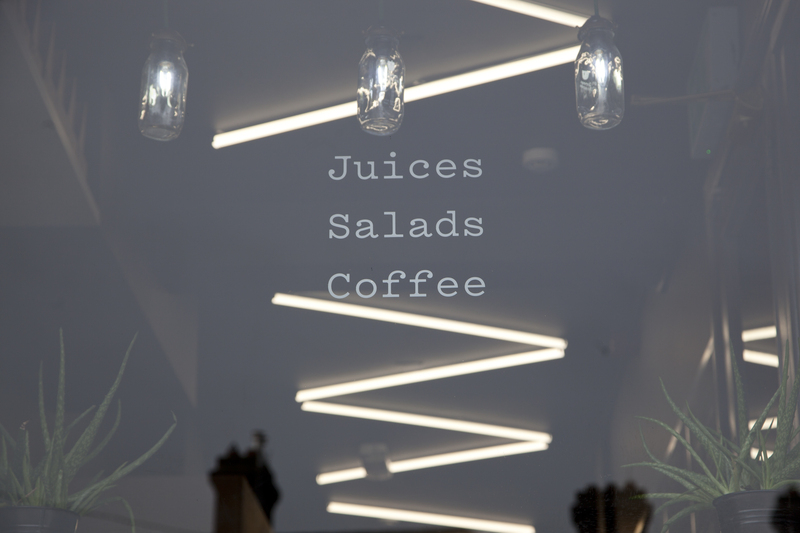 A modest budget also focused design decisions. 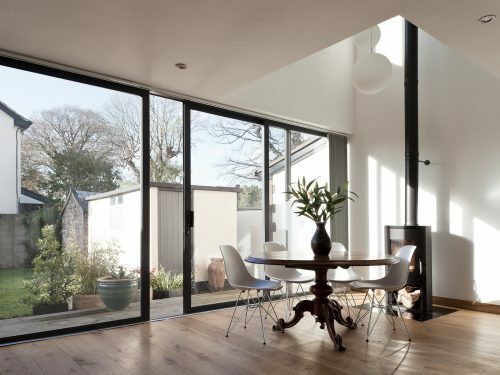 Consistent with previous projects for the clients, the existing space was stripped back. 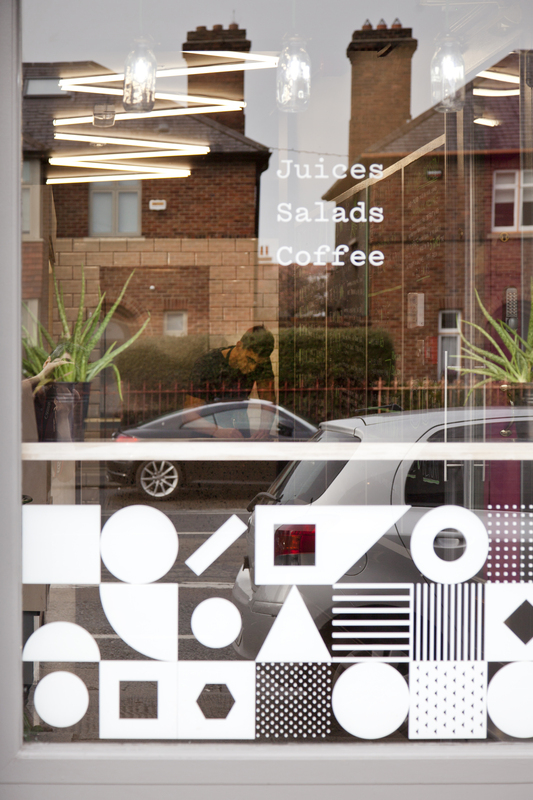 To the front an open display / merchandise area was created, with stool seating at the street window. 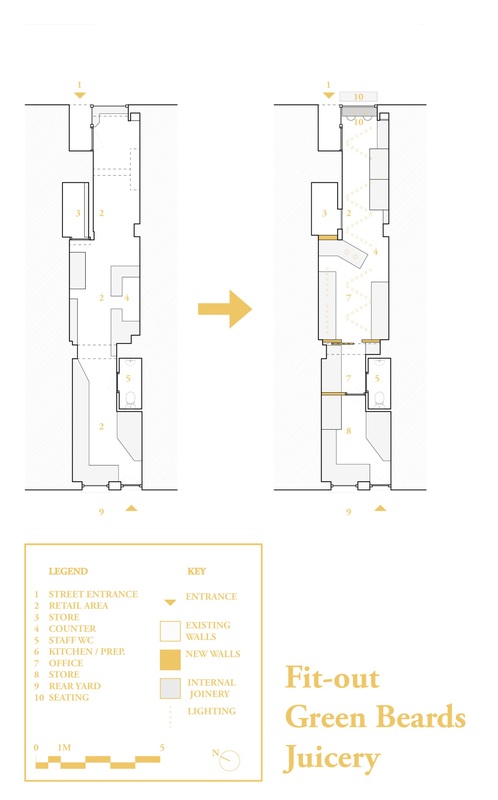 In the centre a preparation area with customer payment counter was located; to the rear is storage, staff facilities and private preparation area. 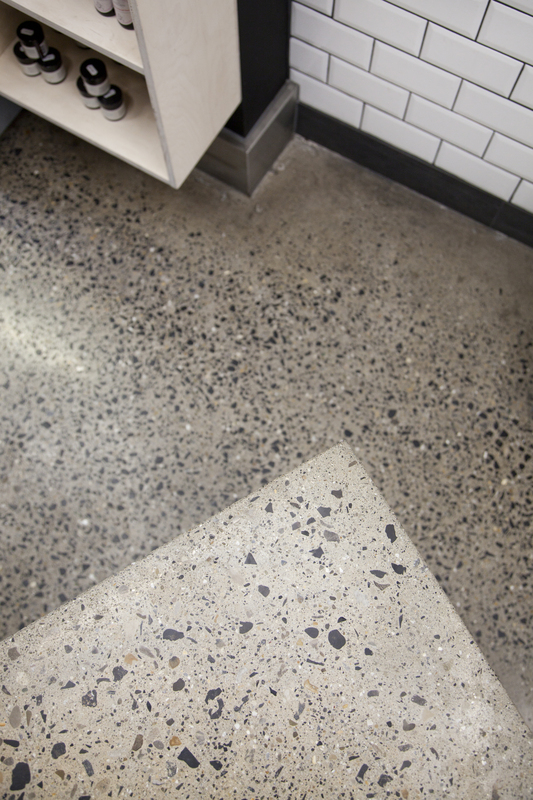 Existing floor coverings were removed and the slab ground down and polished. 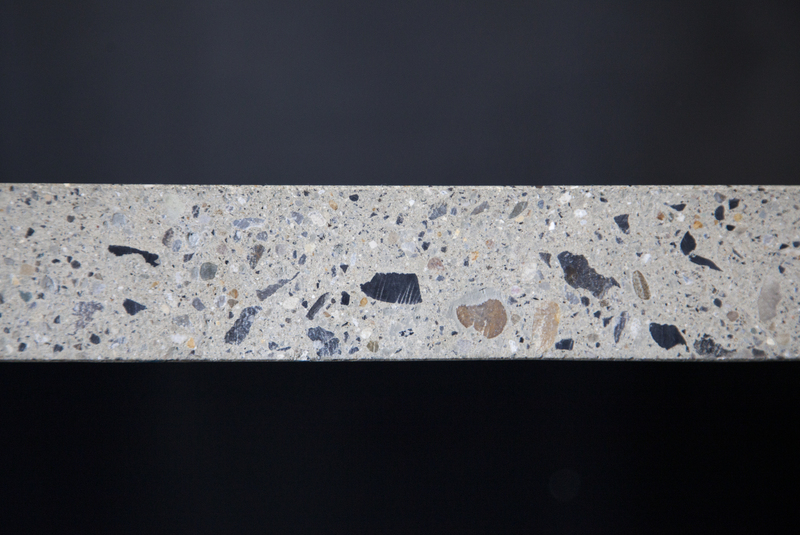 A pre-cast counter with a solid front and side was commissioned to compliment the floor. 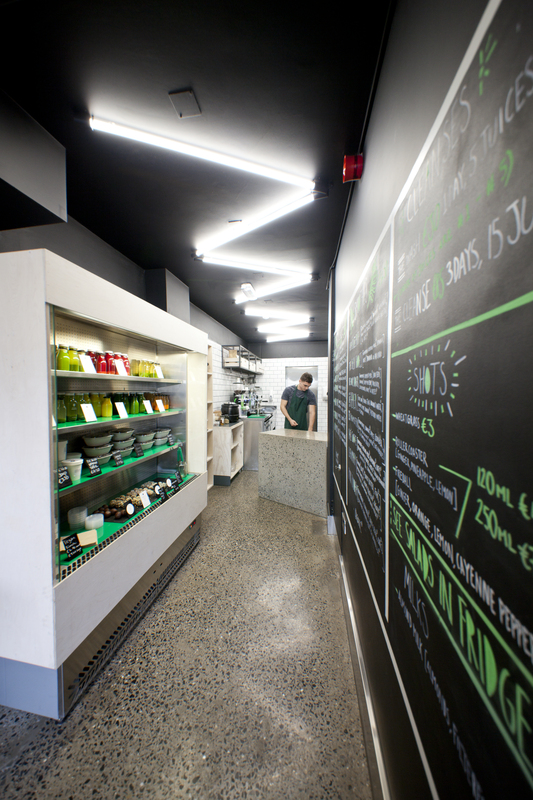 Its angled design creates increased space for customers at the payment counter, in this very narrow unit. 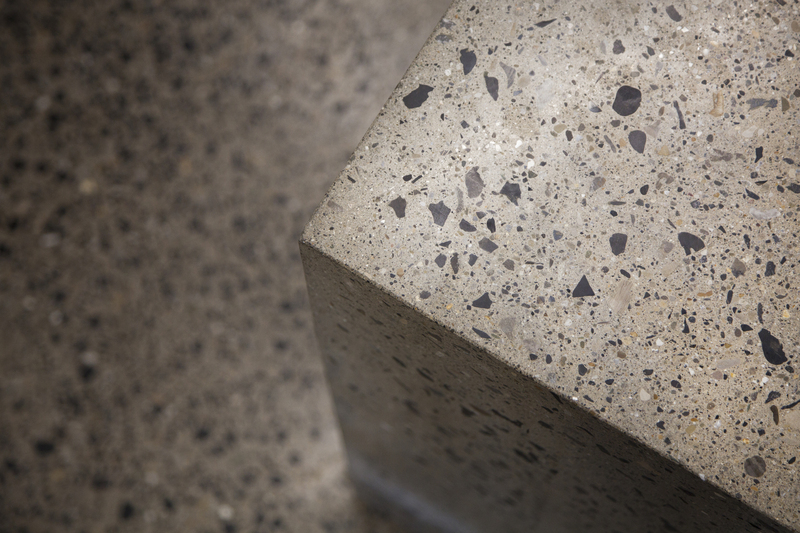 A pre-cast, cantilevered concrete shelf beside the front window acts as a hot drinks station. 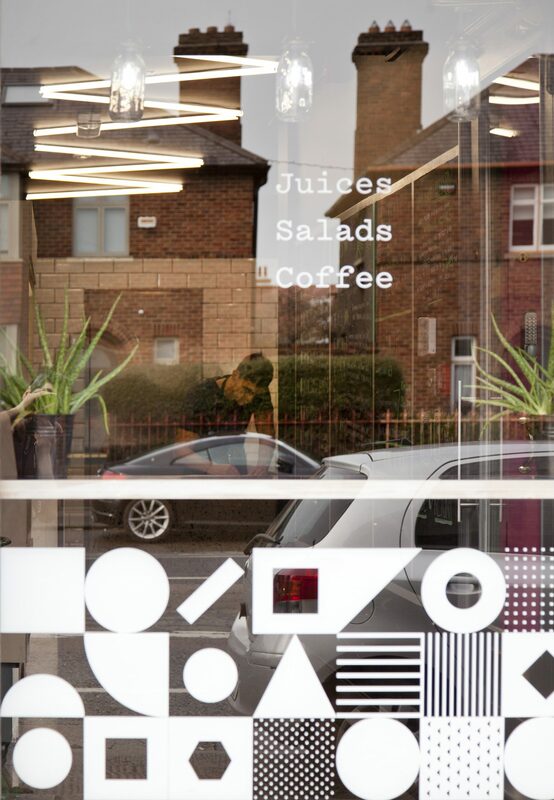 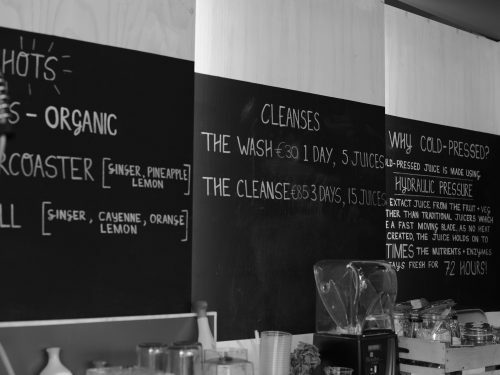 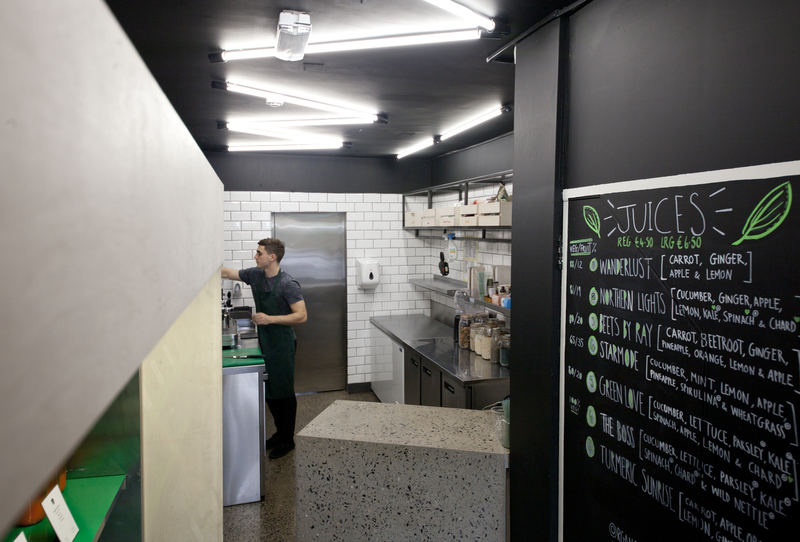 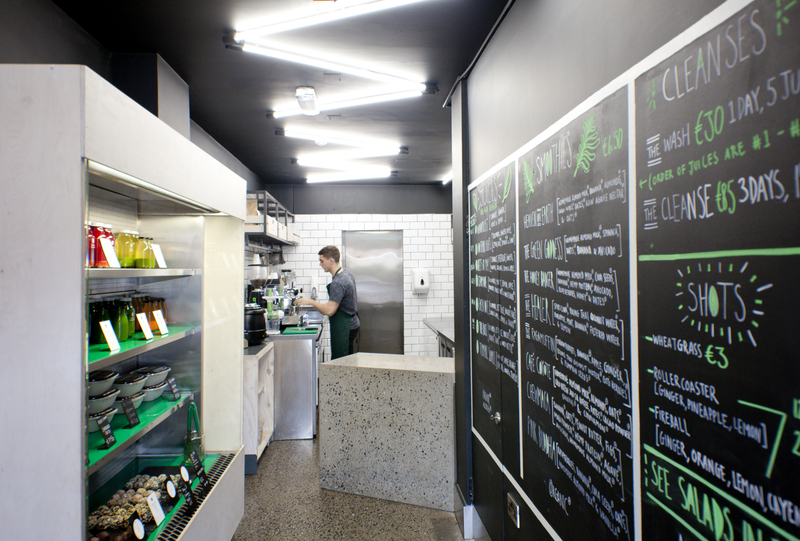 As well as accentuating space in the long, narrow unit, branding and signage were integrated with the business ethos of natural, raw ingredients for cold-pressed juicing. 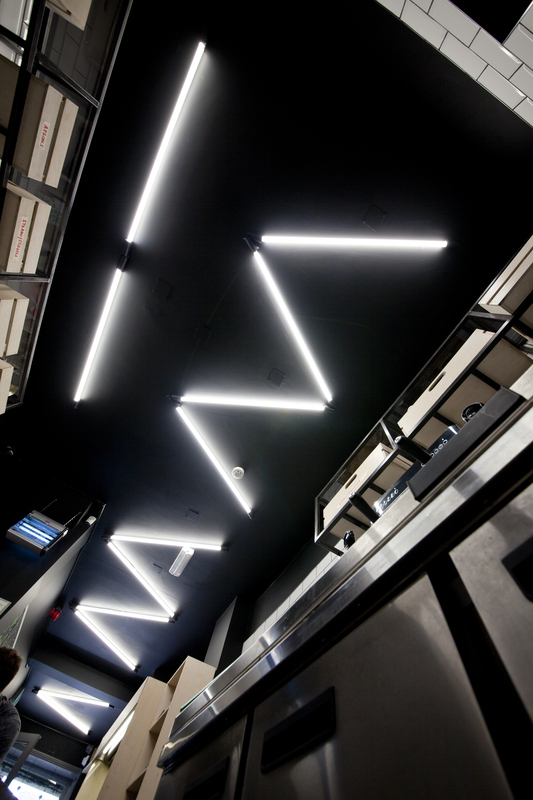 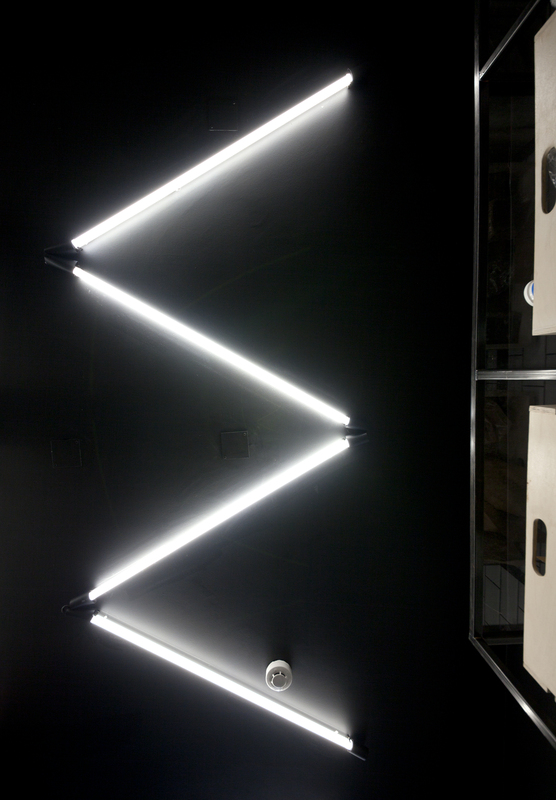 The existing ceiling, with its beams, ducts and other obstructions was painted black; angled fluorescent tubes increase light and bring a visual focus through the unit. 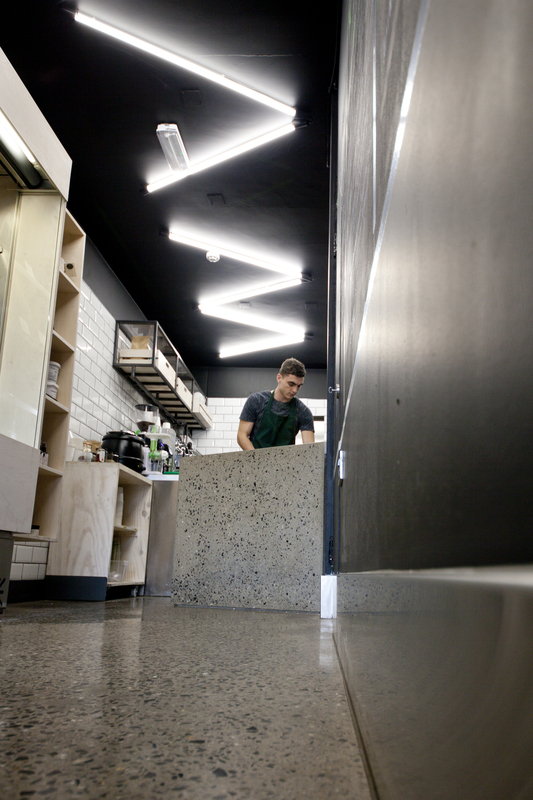 A limited palette of birch plywood, sheets of galvanized steel, stainless steel and mild steel shelving compliments the concrete floor and counter and pared-back aesthetic.